The awe- inspiring landscape of the Wakatipu valley have inspired an elegantly earthy suite of paintings from land/artist Simon Taylor. The subjects in these paintings have been distilled to their essential masses. 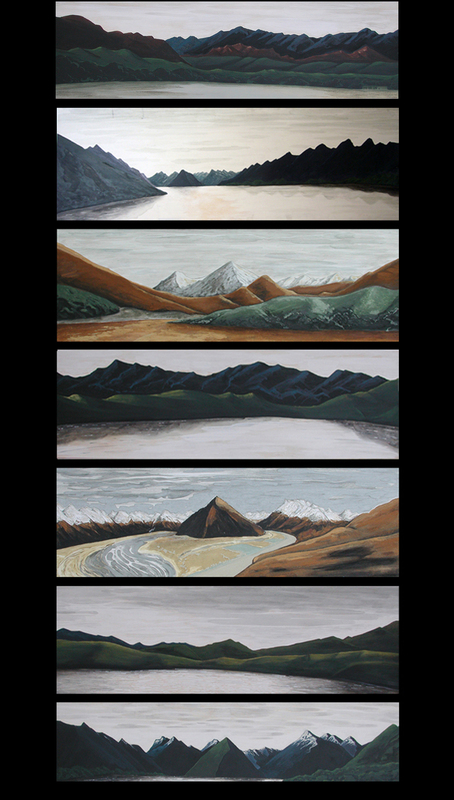 A strong horizontal composition is employed, where mountain peaks and ranges separate equal bands of sky from cropped ellipses of lake, painted with pigments Taylor mixed from clays and ochres found at each site. The schematic handling of earth, air and water, rendered in a limited palette, manages at once to capture nuances of light and temperature and still convey the majestic scale of these vistas. Integral to all successful design is sensitivity to the site or subject, an appreciation of materials, and the imaginative or poetic leap that can translate a sensory or emotional response into something tangible. Taylor’s finely observed paintings with their delicate shifts in temperature and effects of light on water, have a unique counterpoint in the direct method and robust materials he has used to create them. 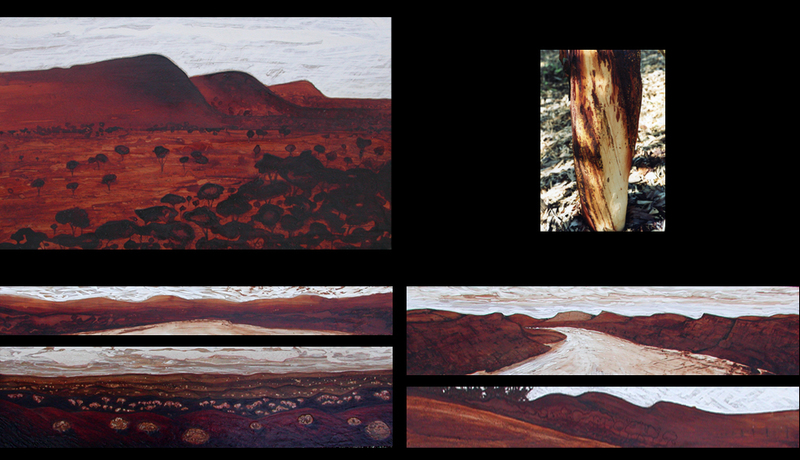 Earth, air and water and their forms in nature and design are recurring motifs in Taylor’s work. These elements unite his practices – as a landscaper designer, sculptor and painter.